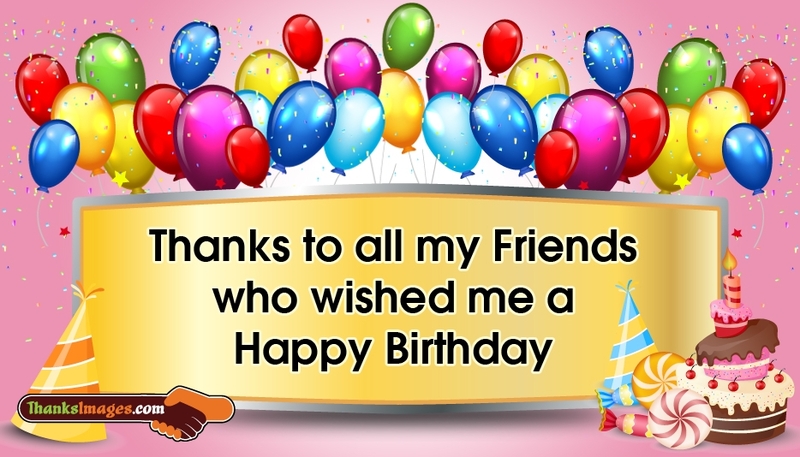 A cute and colorful thank you image with the text "Thanks To All My Friends Who Wished Me a Happy Birthday". Birthday is a special occasion for everyone. The day is made more special with the best wishes from the friends. You can thank them for their heartful blessing through whatsapp group or post it in your Fb pages for free.